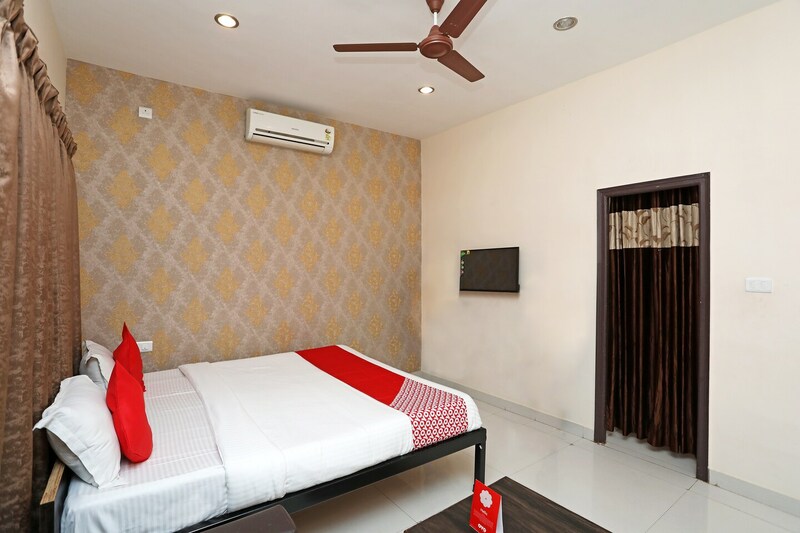 Just a few minutes away from Raipur airport, Parampara Garden offers you a homely stay with no shortage of any kind of comfort. The spacious rooms are well-equipped with essential amenities. These rooms entail classy decor with dark curtains, bright cushions, large flower vase, and appealing wallpapers and they are also brightly lit with ceiling LED lights. The hotel is equipped with facilities like power backup and kitchen Guests can also avail parking facility and free internet services. There's a nicely decorated banquet hall as well within its premise where various kinds of functions can be held. The hotel is fully secure with CCTV cameras installed at key locations.